The Indian government is progressively working on simplifying and liberalizing its visa regime. With regards to the working visa, an employee is eligible if they are at least 18 years old and in good health. 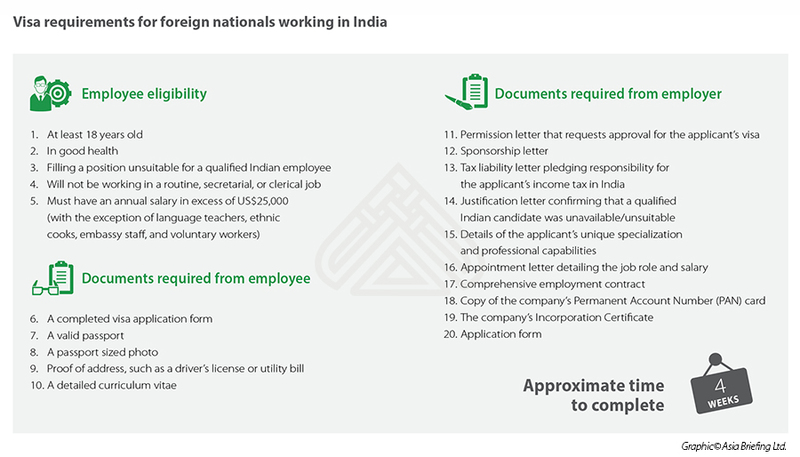 Moreover, the applicant has to fill a position considered unsuitable for an Indian employee and must earn over US$ 25,000 a year.